1068 Budapest Benczúr utca 3. Take a look at our other great properties! Blue 200E bus and Metro M3, at Deák tér change to M1 (direction MEXIKÓI ÚT), get off Kodály Körönd, and take a 1-minute walk. Keleti Railway Station: take Trolley Bus 73 or 76 until ANDRÁSSY ÚT (6th stop), and simply walk to us. 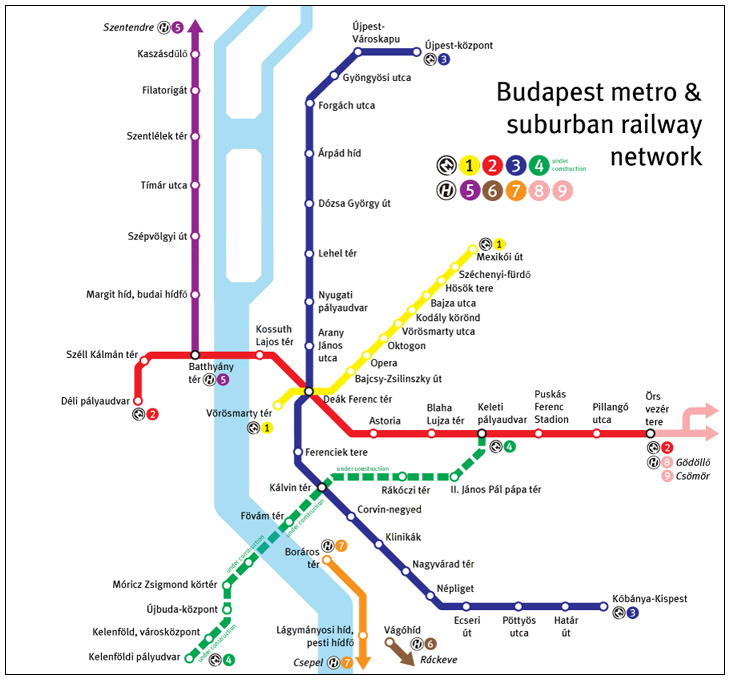 Or take M2 until Deák tér, change to M1, and get off at Kodály Körönd. Deli Railway Station: take M2 until DEÁK tér, change to M1, and get off at Kodály Körönd. Nyugati Railway Station: Take Tram 4 or 6 with direction to ÚJBUDA KÖZPONT or MÓRICZ ZSIGMOND TÉR, respectively, and get off at Oktogon. Take M1 until Kodály Körönd. Kinda complicated, so its better if you cab it. Or organize a pickup with us. Easier. Parking is metered on weekdays only from 08.00 to 20.00, and it is free in-between as well as all throughout the weekend. Hourly rates around here are less than 60 cents per hour. Here is our metro system at a glance for a better understanding of all the blah-blah above.